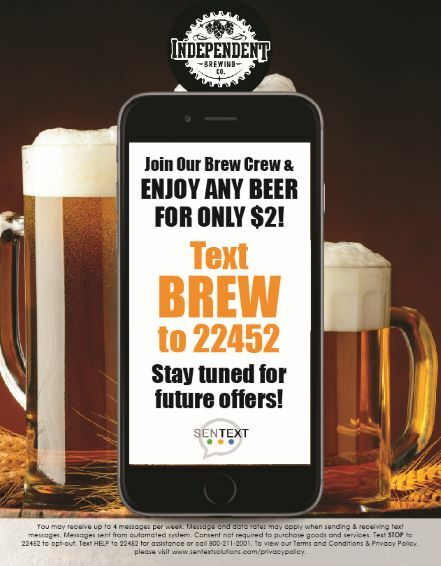 Independent Brewing Company is Harford County’s premiere production brewery established in 2015, featuring a large taproom and patio located in the heart of historic downtown Bel Air, MD. Independent Brewing Company is conveniently located at the top of the popular Ma and Pa Trail and is family friendly, bicycle friendly, and well behaved dogs are welcomed. 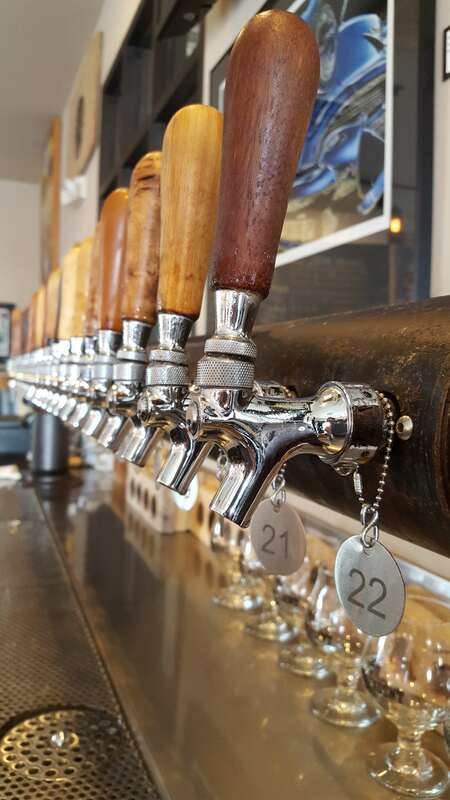 Independent features 26 rotating taps of small batch artisanal ales and cider, many are brewed with locally grown ingredients from Harford County and brewed to be gluten free. We have a daily rotating calendar of local food trucks on premises offering a variety of fresh, seasonal, and local cuisine. We fill growlers and 32 oz. cans on site, and offer a variety of six-packs to go. IBCo offers an array of bottled craft sodas with cane sugar, organic juices, and other non-alcoholic beverages as well - including Nitro Cold Brew Coffee, Homemade Root Beer, and Kombucha on Tap. Hope to see you in the taproom! Our beers are brewed to be gluten free.